The new Tax Cuts and Jobs Act tax bill which will go into effect on January 1, 2018 is expected to be signed into law in the next two weeks. Here are some of the highlights of how the bill will impact homeowners. Interest on loans for purchasing first or second homes is deductible. The mortgage debt eligibility cap was lowered from $1 million to $750,000. Homeowners which have mortgages in place by December 31, 2017 will be grandfathered into the old $1 million cap. in the case of taxable years beginning after December 31, 2017, and beginning before January 1, 2026, a taxpayer may treat no more than $750,000 as acquisition indebtedness ($375,000 in the case of married taxpayers filing separately). In the case of acquisition indebtedness incurred before December 15, 2017 this limitation is $1,000,000 ($500,000 in the case of married taxpayers filing separately). For taxable years beginning after December 31, 2025, a taxpayer may treat up to $1,000,000 ($500,000 in the case of married taxpayers filing separately) of indebtedness as acquisition indebtedness, regardless of when the indebtedness was incurred. At a current mortgage interest rate of 4.10% on jumbo mortgages this would equate to a maximum deduction of $30,750 on a new $750,000+ mortgage. Mortgage refinancing will retain interest deductibility & homeowners who were grandfathered in before the new law will keep the grandfathered status, even if they refinance after the new law goes into effect. The conference agreement provides that a taxpayer who has entered into a binding written contract before December 15, 2017 to close on the purchase of a principal residence before January 1, 2018, and who purchases such residence before April 1, 2018, shall be considered to incurred acquisition indebtedness prior to December 15, 2017 under this provision. Interest on a HELOC or home equity loan is no longer tax deductible unless the debt is considered origination debt, which would require the debt be used to pay for building or substantially improving a property. under the provision, interest paid on home equity indebtedness is not treated as qualified residence interest, and thus is not deductible. This is the case regardless of when the home equity indebtedness was incurred. Homeowners have built up significant home equity since the housing price crash nearly a decade ago. 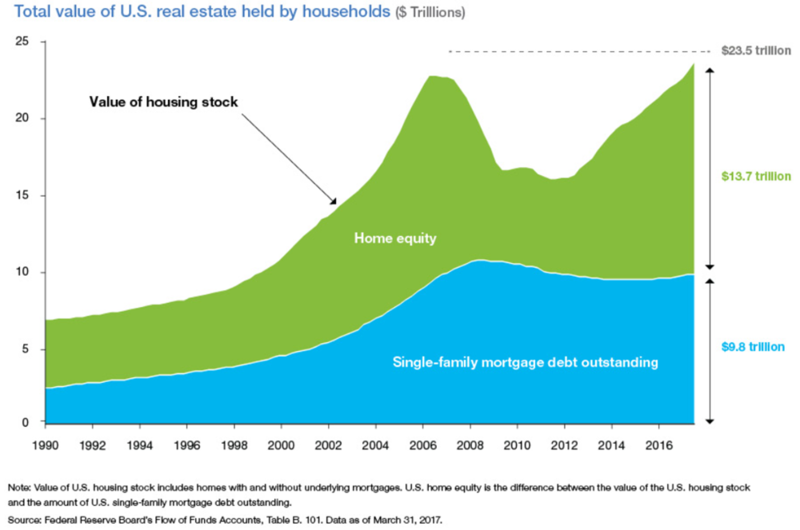 Mortgage debt is up only modestly over the past few years after declining throughout most of the housing & economic recovery. TransUnion put out a report in October where they suggested 10 million borrowers will take out a HELOC between 2018 and 2022. The TransUnion HELOC study found that rising home prices and the resulting increase in equity is beginning to fuel interest in HELOCs. The Case-Shiller home price index rose as high as 180 in 2005 and 185 in 2006 before dropping to 134 in 2012. By July 2017 it had risen again to 194, and is expected to rise in the next few years to well over 200. “While HELOC originations often track with home equity, which is correlated to rising home prices, we found that the rebound in HELOCs diverged from the recovery in home values following this past recession,” said Mellman. Mortgage refinancing dipped from about 48% of the market in 2016 to 33% of the market this year. It is expected to fall further to 25% of mortgage originations next year. With tight home supplies home equity lines were expected to be one of the few areas of growth across the industry. It remains to be seen if this shift in tax treatment will impact the growing HELOC demand. Currently the child tax credit begins phasing out at $110,000. The proposed bill would lift the phase-out to $400,000. Other dependents who are not children also provide a $500 credit. Deduction capped at a maximum of $10,000 of some combination of property tax along with either income or sales tax. Limiting those state and local tax deductions, home prices in Manhattan could fall as much as 9.5%, according to an analysis by Moody’s Corp.
Penalty for not carrying health insurance repealed. Only considered deductible if they happen during an event the president officially declares to be a disaster. While some military members will still be able to deduct moving expenses, most people will no longer be able to do so. No major changes. Married couples can exclude up to $500,000 on a home sale so long as it was their primary residence for 2 or more of the past 5 years. Individuals can exclude up to $250,000. Divorcees who pay alimony will have to pay tax on the income, while those receiving the alimony will no longer be required to pay income taxes on the funds. This change will go into effect in 2019. Before the housing bubble came into effect in the early 2000s the percent of cash buyers was closer to 20%. After home prices crashed cash during the Great Recession, cash buyers across the United States made up over 40% of home purchases in 2011 and 2012. As property prices began to recover, private equity & hedge fund investors which purchased hundreds of thousands of homes across the country pulled back from the market & the volume of transactions driven by cash buyers declined. In 2016 the US Treasury department started tracking all-cash buyers of high-end real estate in markets like New York and Miami. Almost two-thirds of property purchases worth more than $2m in Manhattan and Miami were made in cash in 2015, according to research group RealtyTrac. More than half those purchases in Miami and almost a third of them in Manhattan involved limited liability companies used to shield the identity of buyers, according to RealtyTrac. Outside of core hot markets cash purchases have been rather uncommon, until recently. Cash purchases are once again rising across the broader real estate market. According to ATTOM Data Solutions 28.8% of US home purchases in 2017 have been cash purchases. Five years after the housing market hit rock bottom, mortgage credit is finally returning to the healthy levels of the early 2000s, before the boom-bust cycle began. But all-cash deals remain well above normal levels, even as prices in many markets have pushed to record highs. Many sellers prefer to work with cash buyers since the transaction is prompt and almost certain to go through. In some cases the cash buyer can also win with a lower bid as sellers value the certainty. Cash rich foreign buyers & people who are either downsizing or moving from hot coastal areas inland also benefit from cash purchases as they save on loan origination fees and closing costs. Proposed changes to the tax code which have passed both the House and Senate may accelerate internal migration away from the rich coastal states to lower tax flyover states, as state income tax payments will no longer be deductible from federal income taxes when the final bill is signed into law. A Wall Street Journal article about the “cash buyer” phenomena highlights the trend is hitting markets that are not traditionally known as hot home markets. They mention Boise, Minneapolis & Raleigh as seeing a sharp uptick in cash buyers, with 42% of purchases in Raleigh being all cash purchases. I believe a lot of the cash sales are driven by informed sellers unloading a house with foundation problems to uninformed speculative investors. After looking in the crawl spaces of about 80 homes (for my third home purchase in Raleigh), I’ve concluded about 1/3 of the homes in Raleigh have foundation or moisture problems. The problems arise from our clay soil, combined with poor grading, water management, or location. Some mortgage lenders and banks are trying to adjust to shifting consumer preferences toward cash purchases and faster real estate transactions. Better Mortgage Corp. is testing offering a loan which can be underwritten in a single day. Bank of America is offering new home owners a mortgage of up to 80% the property value after the home purchase is closed. We recently made a number of upgrades to our homepage mortgage calculation tool. For many years the chart on our site were powered by Flash. As popular as Flash once was, it caused many mobile browsers to crash. Steve Jobs shared his disdain for Flash in April of 2010. Our initial solution to the support for Flash being limited to desktop devices was to not show charts to browsers which did not support Flash. We figured this to be a reasonable trade off because charts might take up too much space on smaller mobile devices. In June Apple announced they would soon start blocking Flash on desktop devices as well. Now instead of there being 3 smaller graphs across the page, the remaining balance and annual payments are shown on a single wider graph & users can click the link below that to view a donut graph of payment breakdown by source. The top graph also contains tool tips so a user can see what portion of each year’s payments go to principal vs interest and so on. Many publishers have responded to lower CPMs on mobile and the rise of ad blockers by adding more ad units, larger ad units & more invasive tracking to their pages. Unblockable pop-ups, in-text ads, fly-in ads that move the text while you are trying to read it & auto-playing auto-generated video are just a few examples of the sort of stuff publishers are doing. I’m sure you’ve done this before, but I would specifically be asking to put a pixel on your website so that I could target your users other places on the internet outside of your website. I think the users of your site are similar to the users of my site, and the ability to target your users on other websites is something that I think could be valuable for my company. Please know that I’m a serious ad buyer, and I spend 7 figures on advertising deals annually. If you would be open to me testing your users in this Retargeting trial, I would also be interested in buying ads directly on your site. …and we have universally refused these sorts of offers, as we view them as a violation of user trust. It is those sorts of backroom deals which have led to the rise of ad blockers. We have taken a more sustainable user-friendly approach & reduced our ad load across the board. No page on our site has more than 2 ad units & the mobile version of our site only has a single ad unit. Further, on the homepage and m. versions of our calculator users have the option of completely turning all ads off under the advanced settings menu which controls options like the display of amortization graphs. While both our regular homepage & the m. version of it use responsive web design features, on the m. version of the subdomain we also removed the ad unit which was near the calculation results so users can see the results faster on the small screen space mobile devices provide. We do not use any interstitial or anchor ads, to ensure the mobile experience is as fast and clean as possible. We also disabled charts from appearing on the m. version, due to the constrained screen space, however a user can click the view desktop version of site to enable charting. The m. version of the site still includes a mortgage rate table below the calculation results, so users can quickly see their current local market conditions, particularly in light of how BREXIT and other issues have rapidly moved US Treasury & mortgage rates. Over the years we have had a number of requests to add the cost of insurance and HOA fees so buyers can see an “all-in” cost of ownership. We added these as input fields & made the calculation result output format more intuitive so people can quickly see their full monthly expenses while paying PMI & when PMI no longer required. Perhaps the only major cost which our tool doesn’t currently account for is maintenance, but typically those expenses are lumpy and somewhat unpredictable. A good rule of thumb is 1% to 3% of the home purchase price, but this is a quite wide range & may be high for new homes while being low for older homes with major issues. Further, mortgage interest deductions off income tax likely offset the maintenance costs for many home owners. There is always a trade off between the complexity of features in a tool & the usability of it. One way we offset some of these sorts of issues is for an input field like HOA we default it to zero & then on the results display we do not show HOA information if it is zero. Likewise if PMI payments are not required we do not show PMI info in the results. Home purchases are typically the largest single investment most consumers make in their lifetime. Given this & the shift toward using mobile devices, we thought it made sense to make it easier for people to share calculation results. On each calculation we create a short link which can be shared across the web or via mobile messaging applications. This feature will help improve communications between partners (while someone is stuck at work, or such) & it will help agents sell more homes by making it easier for them to help their clients quickly see what is & is not affordable at a glance without any risks of miscommunications. While we already have other calculators on our site which make it easy to compare the costs & benefits of refinancing, compare different loan term lengths side-by-side, print out an amortization table & help users see the impact of extra payments, we will soon modify the homepage of our site to make the CSS print feature easier to use to print out the amortization tables it creates. Updated: we now have the printer-friendly version of the homepage live, and users can share this version of their calculation with other people just like the short-URL version of the homepage. We are evaluating adding other options, but want to be careful not to ruin the flow of the homepage calculator. We may also test surfacing some of the other calculation tools on the homepage in areas other than the sidewide navigation, but will be careful not to cloud the clean user experience of the homepage. Thanks for reading this and using our website! Have any feedback on features you would like to see? Please share your comments below. Beginning on April 1, Fannie Mae follow in Freddie Mac’s footsteps and formally raise the fees that they charge lenders, which will almost certainly pass these fees on to borrowers. The bottom line is that for virtually all borrowers, obtaining a mortgage is set to become significantly more expensive. As mentioned earlier, Fannie/Freddie are currently hemorrhaging money at the combined rate of $1-2 Billion per month. While the government hasn’t yet determined how these two organizations – which currently underwrite 95% of all new mortgages and without whom, the mortgage financing system would collapse – in the mean time, it will certainly seek to limit their losses. Thus, the expansion of “loan-level price adjustments” should not have come as too much of a surprise. Basically, Fannie/Freddie charge lenders fixed fees for all mortgages that they agree to purchase, and in return, the lender is alleviated of most of the risk. In the past, these fees were relatively modest, and certainly inadequate to offset the risk borne by Fannie/Freddie. Meanwhile, a few years have already passed since the collapse of the housing bubble touched off a wave of defaults, and since then, the mortgage behemoths claim to have learned a few lessons about the actual creditworthiness of borrowers. Under the proposed changes, all borrowers will be charged an “adverse-market” fee of .25%, which can be paid upfront or rolled into the mortgage. Supplementary “risk-pricing” fees will be set in terms of the borrower’s credit rating, downpayment size, mortgage type, property type, and a handful of other factors. Only those borrowers (encompassing about 12% of the total) with FICO credit scores above 740, that make downpayments >25% for stand-alone residential properties will be exempt from this additional layer of fees. Everyone else will be required to pay up to 3% in fees, depending on their risk profile. It’s worth pointing out that FHA loans are naturally exempt from these additional fees. In addition, “not all lenders sell all mortgages to the secondary market, so not all loans are subjected to the fees.” In addition, given that the profitability of issuing mortgages has surged in the last year (due to shrinking competition), it’s possible that some of the additional fees will be absorbed by lenders. A few tips for borrowers, then. All else being equal, try to close on your mortgage before April 1. If you haven’t yet looked into the possibility of obtaining an FHA loan (which permit lower down-payments and lower credit scores), you should probably consider doing so. (However, FHA loans are also becoming more expensive and carrying higher restrictions). Next, make sure that your credit score is as high as possible, and that your credit report is free of errors. A difference of 5-10 points in your score could make a big difference in the fees that your lender charges you. Finally, remember to shop around for a mortgage, and that all fees are ultimately negotiable. As I said, the dynamics of mortgage lending have changed dramatically since the collapse of the housing bubble, and it’s possible that your lender will agree to certain fee reductions in order to retain your business. Housing Market: Double-Dip in 2011? A few months have passed since I last offered an update on the state of the housing market. Since then, there have been a number of developments which suggest that 2011 could witness double-digit declines in housing prices, and that the long-awaited double-dip will finally materialize. In an analysis of the housing market, it’s difficult to know where to begin. So much has been written on this topic over the last month and a trove of new data [Gary Shilling has dutifully compiled all of this data in a must-read research report] has been released, to the point that I experienced an acute case of information overload when researching this article. Here’s where we stand: the bellwether Case Shiller Housing Index “has risen 4.4 percent from its April 2009 bottom. But it remains 29.6 percent below its July 2006 peak.” According to some measures, this is already a larger decline than that which transpired during the Great Depression. While the national housing market stagnated in 2010, there was tremendous regional disparity. While prices fell ~20% in Dayton and Columbus, Ohio, they actually rose in 70% of major markets, including Washington DC (5%) and Honolulu (7.5%). Meanwhile, the number of foreclosures also exploded: “Banks seized more than 1 million homes in 2010, according to RealtyTrac. That was up 14% from 2009 and the most since the company began reports in 2005….About 3 million homes have been repossessed since the housing boom ended in 2006…That number could balloon to about 6 million by 2013.” While the number of foreclosures fell in December because of legal uncertainty over the rights of lenders to repossess, delinquencies and defaults are still rising, and foreclosures will almost certain follow. 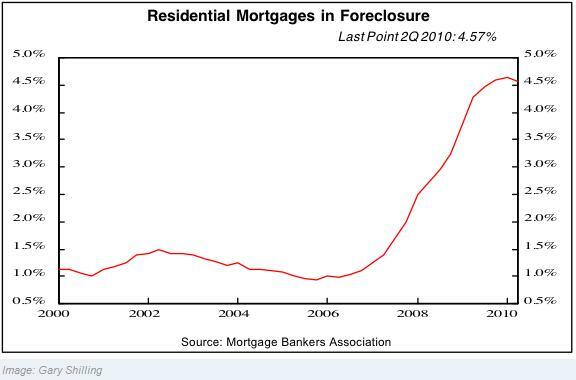 10% of all residential mortgages are now past due, and 4.5% are in foreclosure. (5 States: California, Arizona, Florida, Illinois and Michigan have accounted for more than half of the foreclosures). In addition, distressed properties accounted for about 30% of all home sales in 2010. Going forward, there is more reason than not to believe that further declines are in store. There remains a massive shadow inventory of unsold foreclosed properties, which will expand further before it contracts. Mortgage rates have ticked higher in recent months from record lows, and besides, tighter underwriting standards are making it more difficult to obtain a mortgage. (Fannie Mae and Freddie Mac now underwrite almost 100% of residential mortgages). Meanwhile, the economy has only just escaped from recession, consumer confidence is low, and unemployment remains at a 30-year high of ~9.7%. Even if you ignore the fundamental picture, econometric analysis suggests that housing prices have yet to “revert to the mean” of their long-term trend. Based on almost every measure, housing prices are still above historical levels, rent ratios remain high, and affordability indexes reflect inflated prices. From a purely financial perspective, then, housing prices would have to fall 20% in order to offset the appreciation of the bubble years. Moreover, it’s possible that the correction will “overshoot,” in which cases prices could drop by 25-30% before resuming their long-term average rise of 3.5% per year. Yet, there are some economists who are cautiously optimistic. According to in Frank Nothaft, chief economist of Freddie Mac, “I do think we’ll see these housing prices bottom out, maybe by the spring.” Due to a drop-off in new housing developments, supply (not including the shadow inventory) is low. 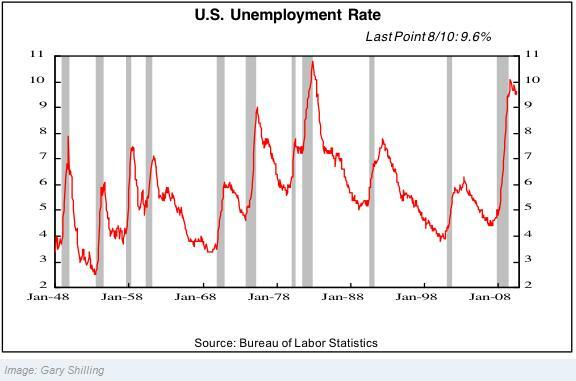 There is also hope that the economy will recover, and lift employment and consumer spending with it. As one columnist summarized, “The minute Americans see a real reason for hope…housing will come roaring back.” Even the most dire housing forecasts concede that some regional markets will probably rise in 2011. From where I’m sitting, however, there really isn’t cause for much optimism. Unless you live in Hawaii or Texas, the next year (or two or three) will probably witness further declines. What a mundane and seemingly obvious piece of advice! And yet, according to the results of a recent survey by LendingTree.com, 40 percent of mortgage shoppers obtained just a single quote before settling on a mortgage. Given that the same poll established that 96% of consumers will comparison shop for most items, this is nothing short of astounding. There are a few probable causes for this phenomenon. First of all, there is a small contingent of borrowers that either doesn’t understand that mortgage rates vary among lenders and/or mistakenly believe that rates are determined by the Federal Reserve Bank and that such variations are therefore trivial. Second, there is a factor of laziness. How else can you explain the 10% of borrowers that “admitted they had spent the same amount of time searching as it takes to brush their teeth.” There is also an aura of complexity surrounding mortgages, which spurs fatigued borrowers to simply choose any lender at arm’s reach. 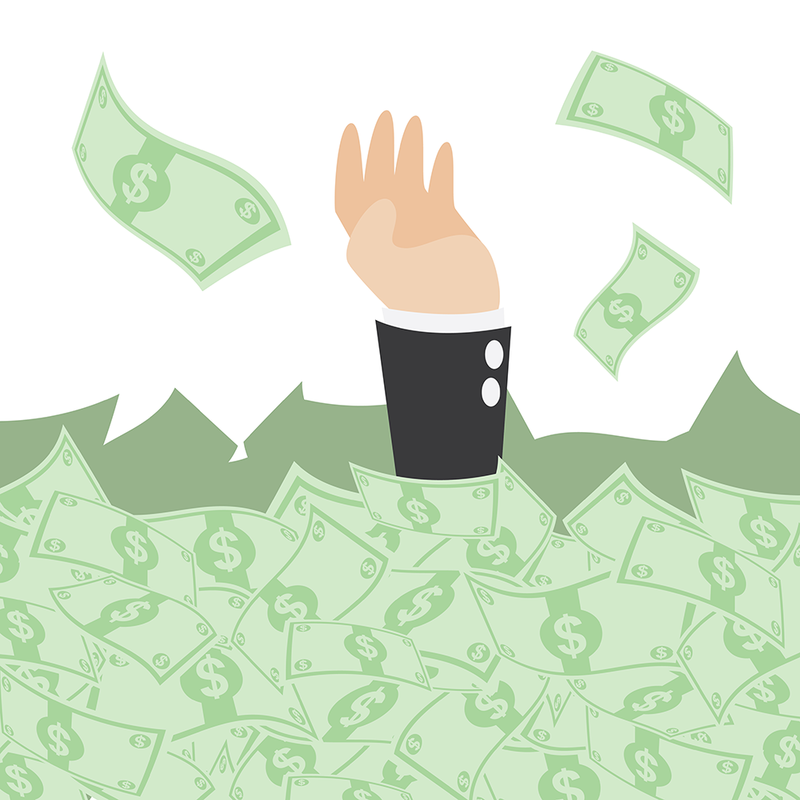 Finally, there is a misconception that lending standards have become so stringent that borrowers should immediately pounce on the first approval that they receive. While mortgages have become a commodity product over the last decade, there is still a tremendous amount of variability between mortgage lenders, in terms of rates, points, fees, service, and lending standards. At the very least, it’s worth speaking to a few different lenders to make sure that you receive a good deal, fair terms, and good service. The first step is to use the newspaper, internet, friend’s referrals, etc, to develop a preliminary list of 3-5 potential lenders. (You may also want to consider including a mortgage broker on the list. While this will add an extra layer of fees, a good broker will do your mortgage shopping for you and might even be able to help you save money overall). The next step is to contact each lender and ask them basic information about the types of mortgages that they offer and are potentially suitable for you. While you should focus on the financial (i.e. rates, points, fees) parameters, you should also inquire about other points of distinction. (The FTC has created an excellent table that you can use to comparison shop). In order to give you an accurate quote, each lender will probably ask you for personal financial information. Bear in mind, however, that in order for them to offer you a precise estimate, they will need to separately pull your credit history, which could adversely affect your credit score. For that reason, it’s probably only worth obtaining a Good Faith Estimate only once you have settled on a property, and/or you know approximately how much you will need to borrow. If you elect to obtain pre-approval prior to shopping for a home, remember that you are not bound to that lender. You can always continue mortgage shopping or start afresh, after identifying the home that you wish to purchase. Remember that different lenders have different lending standards. Don’t be discouraged if you are rejected by the first lender(s) that you contact. Conversely, don’t automatically accept the first offer that you receive. Even if you have a mediocre credit score, you might still be able to find a handful of lenders that are willing to give you a mortgage at an attractive rate. Finally, there is something to be said for dealing with a broker/lender that you trust. As the LendingTree survey confirmed, shopping for a mortgage is a daunting process. It might ultimately be worth paying .05% more if you feel more comfortable with one lender than another. As if obtaining a mortgage loan wasn’t difficult enough, it turns out there was one more obstacle which has to be overcome: the appraisal. Thanks to new federal regulations, appraisals have now become a nail-biting experience. The best advice for both buyers and sellers is to avoid obtaining one altogether. Unfortunately, all lenders will stipulate that an appraisal must be performed in order for the mortgage to be originated. During the inflation of the housing bubble, this was hardly an onerous requirement. Given that appraisal is inherently more art than science, it was easy enough for appraisers to adjust their comparison tables and deliver a value that was in line with what the buyer and seller had agreed upon. In fact, many appraisers reported receiving pressure from lenders to deliver a value (so that the sale would close), thereby minimizing the importance of their role in the process. In short, it’s probably best to avoid having an appraisal performed if you can help it. If the buyer and seller can agree on a price, it’s pointless to request the opinion of an appraisers unless it is ordered by the lender as a precondition to mortgage financing. If, on the other hand, you are stuck with an unpalatable appraisal, you should challenge the valuation and/or request a home inspection. If the appraiser isn’t willing to bend, you might be forced to find another appraiser. If the statistics are to be believed: “strategic default” – the act of voluntarily walking away from one’s mortgage – is now becoming quite fashionable. According to the latest estimates, more than 30% of foreclosures are strategic defaults, compared to 20% in 2009. However, the calculus of “strategic default” is changing, such that you need to think twice before jettisoning your mortgage. The debate surrounding strategic default was ignited by Brent White, a Law Professor at the University of Arizona, who suggested that breaking one’s mortgage contract was a choice like any other, and that some borrowers were acting against their best interests by continuing to pay their mortgages. White urged such borrowers to mail their keys back to their respective lender, and continue living – rent-free – in their homes until they were forcefully evicted through foreclosure. According to White and other proponents of walking away, the only down-side of such a decision is a negative hit to your credit score. To be sure, you can expect that foreclosure will cause your FICO score to decline by 100 – 400 points, which will make securing any kind of loan in the immediate future quite difficult, to say the least. Thanks to a 2007 law enacted by Congress, you are not responsible for paying tax on a canceled mortgage, which otherwise would be treated as forgiven debt and taxed accordingly. However, this is not the whole story. There are 11 states that have so-called non-recourse laws, which prevent lenders from laying claim to borrower assets if the proceeds from foreclosure are insufficient to repay the mortgage: Alaska, Arizona, California, Iowa, Minnesota, Montana, North Carolina, North Dakota, Oregon, Washington, and Wisconsin. That means that there are 39 states which the lender can effectively go after you for the difference, by garnishing your wages, freezing your liquid assets, or obtaining a lien on other hard assets. In addition, the lender has up to 7 years to seek such restitution, which means that you can only really escape the lender through bankruptcy. Finally, there is the matter of securing a new place to live. Even ignoring your beaten-down credit score, the stain of credit default will prevent you from obtaining a mortgage for 5-7 years, thanks to a recent rule imposed by Fannie Mae and Freddie Mac. Buying and Bailing – in which you attempt to secure a new mortgage on a new home, before dumping your existing one – is now quite difficult, again thanks to increase vigilance by Fannie and Freddie, as well as a more stringent guidelines for mortgage lending. The only realistic alternative, then, is to rent….that is if you can find a landlord who is amenable to your financial situation. In short, I would like to clarify my position regarding strategic default: you should only do so if you live in one of the 11 states listed above and if you are sure about your ability to secure a new place to live following foreclosure. You are also advised to speak to an attorney in order to fully understand your liability. Of course, if all things considered, it’s in your best interest to strategically default, then by all means, go right ahead.